Please allow us to introduce you to the grandmother of the Chief Cultural Evangelist of Nine. Her name is Sophia Simon Moreno, she is 87 years old and her children and grand children have been very lucky to have her as a mother and grandmother and the absolute best cook our family has ever had. She was also a baker and today we want to share a seasonal awesome idea in the Black Caramel Rum Fruit Cake with the world. This delicacy is presently in the many kitchens and dining rooms around the country of Belize. We are absolutely certain that they are all amazing and rich with rum! Please don’t be afraid to try this. This is a family recipe that was dedicated to her 5 children and her grandchildren. Our Chief Cultural Evangelist is Mamita’s first grandson and we know how lucky he is to have a grandmother with the skills in the kitchen for example, in the recipe below. How to make the awesome! 2. In a bowl, add butter with a little water and beat until fluffy. Add sugar gradually, while beating until sugar dissolves. 3. Separate egg yokes from egg whites. Add the yokes to the butter/sugar mixture and beat until fluffy. Add 3 teaspoons baking powder in flour and gradually combine with this mixture. 4. In another container, beat egg white until fluffy and add to the butter. If the butter is not soft enough, you can add some evaporated milk. 5. Add lemon essence, all spice, vanilla and black caramel and mix thoroughly. 6. The already chopped fruits are mixed with a little flour so as to allow them to float. Mix into batter. 7. Grease baking pan with butter, then flour. Fill each pan with a little more than half full with the batter. 8. 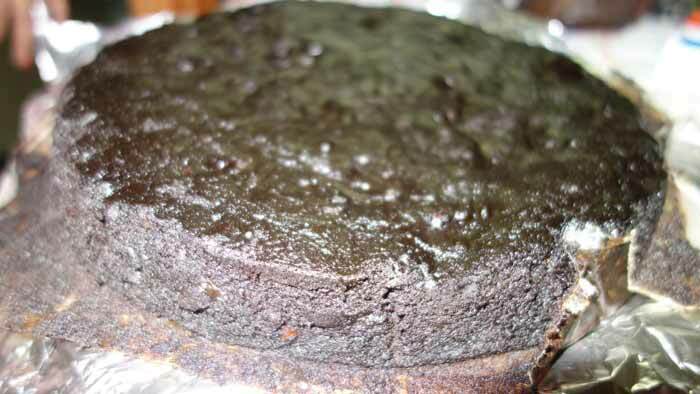 Bake in a moderately preheated oven until cake releases from the sides of the pan. 9. When finished, pour brandy/rum with golden syrup over cake. COver with plastic wrap to keep cake moist. 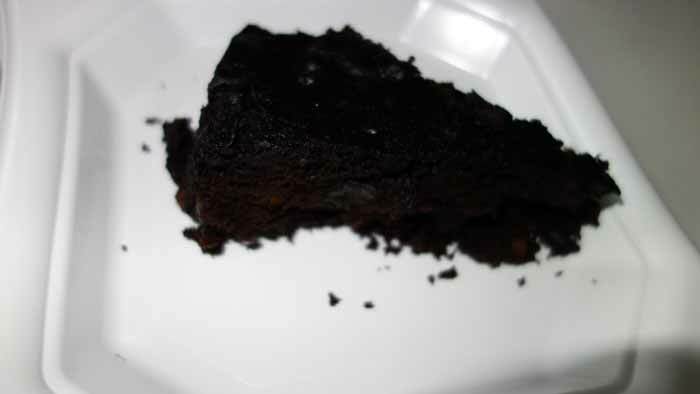 HERE ARE SOME PICS…They are not the best pictures but for now, we intentionally put them up to show what happens if you are not careful with this cake (amounts of slices one consumes) before taking pictures! Slice number 4! Warning do not eat from your product before taking pictures!